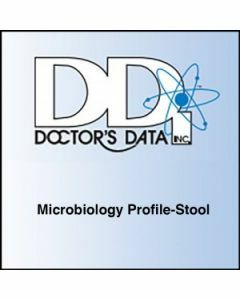 This Comprehensive Parasitology x1 stool test by Doctors Data is performed to identify abnormal intestinal parasites and microflora, but does not directly assess abnormal digestion/absorption, inflammation or other specific aspects of gastrointestinal health. The ability to access intestinal ecology through stool culture techniques (which include comprehensive bacteriology and yeast cultures to identify the presence of beneficial flora, imbalanced flora including Clostridium species and dysbiotic flora), combined with detection of infectious pathogens and visual evaluation for the presence of parasites, is an important step in identifying imbalances in intestinal micro flora. This easy to use stool test kit by Doctors Data is sent to your home. The kit contains everything needed for collecting specimens, including shipping materials and pre-paid postage for sending specimens to the lab. Results are emailed 7-10 days after lab receives specimens. A good balance of beneficial micro flora has been known to be associated with health benefits since the turn of the century. At that time Metchnikoff drew attention to the adverse effects of dysbiotic gut micro flora on the host and suggested that ingestion of fermented milks ameliorated what he called “autointoxication”. He proposed that the consumption of large quantities of Lacobacillus Acidophilus species would reduce the number of toxin-producing bacteria and result in better health and increased lifespan. Over the past 90 plus years there has been extensive scientific research demonstrating that a good balance of Lactobacilli, Bifid bacteria and beneficial E. Coli bacteria are important to the functional health of the gut, and as a consequence, to the whole organism. The benefits identified include inhibition of microbial pathogens, prevention and treatment of antibiotic associated diarrhea, prevention of travelers’ diarrhea, reduction of lactose intolerance symptoms, reduction in serum cholesterol levels, enhancement of the immune system, and inhibition of the proliferation of Candida albicans. Research has shown that improved biological value of food can be achieved through the activity of probiotics Lactobacilli and Bifid bacteria which have been reported to produce folic acid, niacin, thiamin, riboflavin, pyridoxine, biotin and vitamin K.
In a healthy balanced state of intestinal flora the beneficial bacteria make up a significant proportion of the total micro flora. However, in many individuals we see an imbalance of beneficial bacteria and an overgrowth of non-beneficial or even pathogenic microorganisms (dysbiotic). This can be due to a variety of factors including: daily exposure to chemicals in our drinking water that are toxic to friendly bacteria; the use of antibiotics; chronic consumption of highly processed foods ( low in fiber, high in sugar) and high stress levels. Patients may present with chronic symptoms such as irritable bowel syndrome, leaky gut, autoimmune diseases (e.g. rheumatoid arthritis), fatigue, chronic headaches, and allergies to a variety of foods. Bacterial sensitivities to a variety of prescriptive and natural remedies are provided when pathogenic bacteria are cultured. This provides the clinician with important and specific clinical information to help plan an appropriate treatment protocol. Infection with yeast species can cause a variety of symptoms, both intra- and extra- gastrointestinal, and may escape suspicion as a pathogenic agent in many cases. Controversy remains as to the relationship between Candida infection and episodes of recurrent diarrhea. However, episodes of yeast infection after short-term and long-term antibiotic use have been identified in patients with both gastrointestinal and vaginal symptoms. There is some evidence linking yeast infection with more chronic extra-gastrointestinal conditions. Studies suggest that the production of antibodies against Candida Albicans may contribute to atopic dermatitis in young adults. Other studies have identified the potential role of candida in chronic fatigue syndrome. 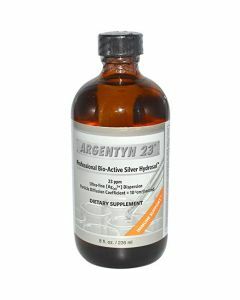 Yeast sensitivities to a variety of prescriptive and natural remedies are provided when yeast is cultured at any level. This provides the useful clinical information to help plan an appropriate treatment protocol. While parasitic infection may be an underlying etiological factor in several chronic disease processes, doctors often do not consider the potential for parasitic involvement because signs and symptoms of parasitic infection often resemble those of other diseases. Moreover, it has been shown that parasite testing is a reasonable approach to the detection of causative agents for chronic gastrointestinal disorders. Signs and symptoms of parasitic infection vary from one individual to another. The more common signs and symptoms are: constipation, diarrhea, bloating, gas, symptoms of irritable bowel syndrome, arthralgia, myalgia, anemia, increased allergic reactions, skin lesions, agitation and anxiety, difficulty with sleep, decreased energy, malnutrition and decreased immune function. Infection can occur by four different pathways. These routes include contaminated food or water, insect vectors, sexual contact, and passage through the skin and nose. A thorough patient history will help assess the possibility of parasitic infection and the need for appropriate testing to confirm the suspicion. Definitive diagnosis can be difficult because the life cycle of some parasites allows them to escape detection in standard tests. Interfering factors such as barium, bismuth, enemas, and antimicrobials such as antibiotics may further complicate detection of parasites in the stool.